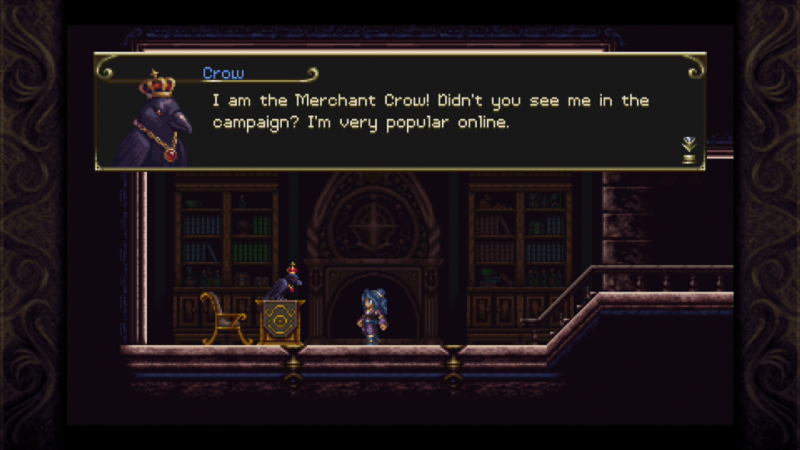 Timespinner might have been a Kickstarter success story, but it’s been a long time coming. After all, the campaign itself ran over four years ago but the team at Lunar Ray Games has finally reached the finished line, launching their long-awaited Metrovania on Tuesday. I’ve spent the better part of the last two days, exploring every nook and cranny of Lacheim’s multiple maps and documenting my experience. Now, I can finally put my thoughts to paper and let everyone know just how special Timespinner felt in the end. The story of Lunais, Time Guardian and newly trained caretaker of the Timespinner, is that of revenge. Having seen her mother struck down at the hands of a Lacheimi general, she vows to go back in time and take revenge in whatever way possible. To do so, she has to explore through not one but two versions of Lacheim and manipulate the past if she wants her present to have a happy ending. Armed not with a whip or sword, but rather two floating orbs and a magical ring, Lunais can still go toe-to-toe with beasts like the greatest of Belmonts. Players can freely swap around the various weapons in Lunais’ arsenal once they’re unlocked, giving each of her two orbs different attack powers (or the same for doubled effectiveness), a passive skill that might increase the combo damage her orbs do or add in a lifesteal effect, and a special attack that consumes Aura, Timespinner’s version of MP. With three different attack palettes to swap between, finding your perfect orb setup might not be as effective against certain enemies, but swapping around to perhaps a heavy warhammer or gun orb might be a bit more effective in battle. It’s important to find an orb or three that you really enjoy using and sticking with them throughout Timespinner or its New Game Plus, as they will level up along with Lunais and have their damage grow stronger and stronger. Timespinner’s greatest strength lies in how nimble Lunais can be in her mobility. 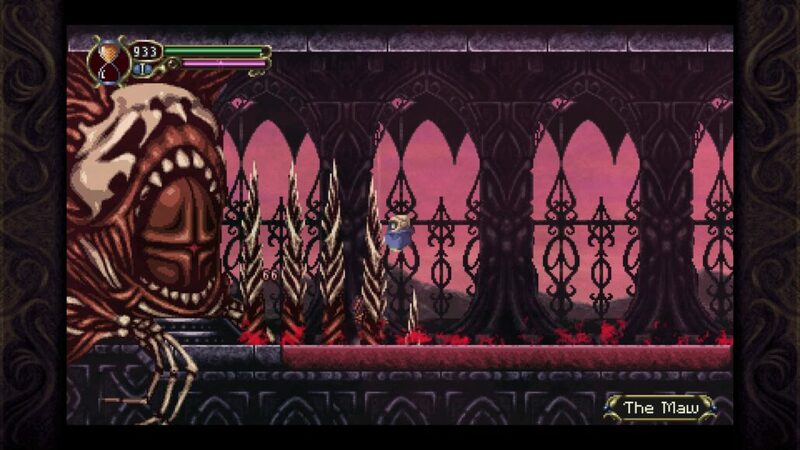 Many a Metrovania have been hindered by their platforming mechanics and Lunar Ray Games have surely looked to past examples on how to tighten up Lunais’ jumping and climbing abilities. Even pixel-perfect jumps come naturally compared to some of the other Metroidvania titles that have launched over this past year. 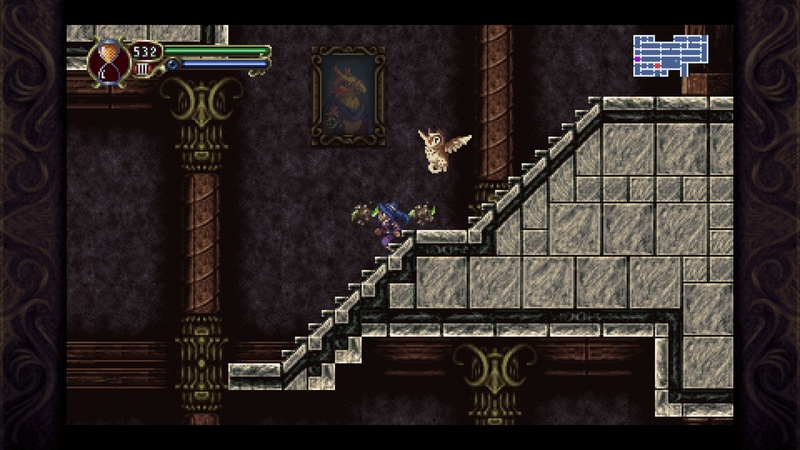 Coupled with the slow but steady improvement of Lunais’ abilities and adding in a couple new mobility options to navigate up to previously just-out-of-reach platforms, Timespinner’s controls feel about as tight as the best Castlevania-esque titles I’ve played in years. What could have been the single most interesting aspect of Timespinner ultimately falls into the category of being a narrative device that’s unfortunately underutilized. The promise of time manipulation being one of the powers exclusive to a Time Guardian holds many implications in the world, but what Lunais can actually do with those powers is fairly limited in scope. The time manipulation powers in Timespinner ultimately fall down into one of two basic forms. Lunais will develop the power to travel between time periods as her skill as a Time Guardian, bridging together two distinctly different time periods of Lachiem. Think of these as your typical ‘Castle A’ and ‘Castle B’ variants of recent Igavania titles, although there is more connecting the two than just a stream of time. Many events that Lunais takes part in one realm can easily affect the other. Usually, these come in major story moments, but there are a few hidden paths that can only be unlocked by taking advantage of events in the past, such as using her Fire Orbs to burn away roots that would otherwise be too thick to traverse in the present time. 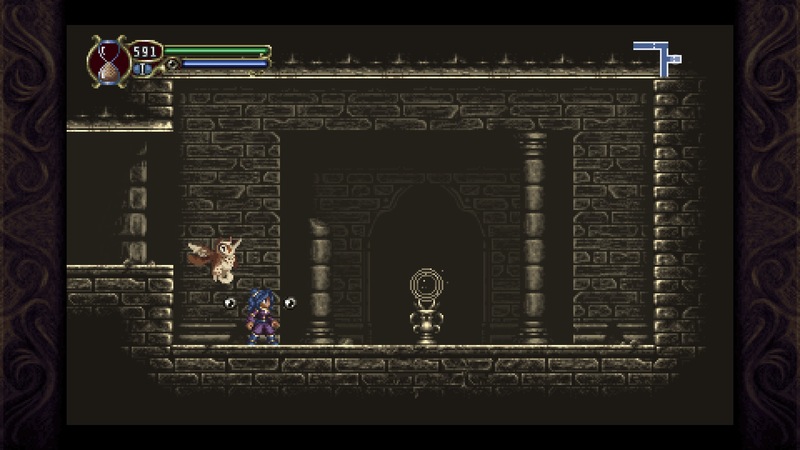 The other power that Lunais can control is to stop time completely for a few brief seconds, granted once the player receives the wheel of the Timespinner. This power isn’t always available, as she’ll have to collect the sands of time from broken lanterns to refill the meter. Freezing time but for a brief moment can give the player the opportunity to evade an otherwise mortal attack, but most importantly in the earlier areas of Timespinner, freeze enemies in place so that they can be used as a stepping stone. Granted, this ability is mitigated by the time you unlock Lunais’ double jump or final mobility option, but it’s incredibly helpful for reaching out-of-the-way treasure chests containing health increases and other unique goodies. Despite a thousand years of civilization separating the two time periods of Lachiem, the two maps often share quite a bit in common. You can be assured that a broken wall that leads to treasure in one timeline will often be similarly tucked away in the other, offering twice the loot. In addition to potential upgrades, Timespinner does have a few collectibles to unlock that expand upon the lore of Lachiem, be it in letters from the past or file downloads to Lunais’ borrowed tablet in the present time. Timespinner also features a side quest system, somewhat rare for a Metroidvania. These quests are all given from NPC’s found in the past and typically consist of procuring a rare enemy drop or slaying enough of a certain foe to cull the dangerous wildlife, but as Lunais tends to the non-magical folks’ requests, more character and backstory is given to those that she is trying to help in the past. And, of course, the promise of unique treasure for helping those in need is always a good motivation to provide relief. 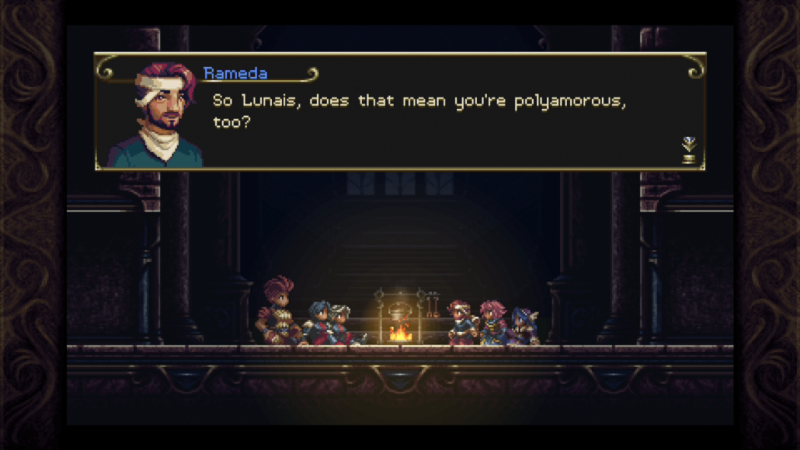 Timespinner’s diverse cast of characters, both good and bad, are quite diverse in terms of identity. None of the characters that Lunais is trying to aide feel like they exist solely as a token character trope, but rather that it’s been written into their entire character motivation. While the time spent with the likes of Neliste or Eschem isn’t very long, I found that completing their side quests helped give a bit of ipseity to a medium of entertainment that’s still under-represented by the LGBTQ community. 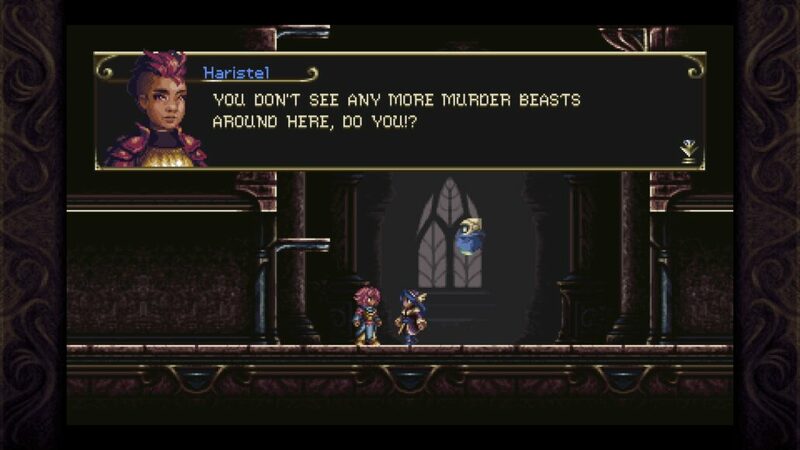 The pixel art style of Timespinner works incredibly well in motion, but there is so much of the presentation that feels like a copycat. From the map design to health and aura HUD to even the basic menus, so much of the design feels lifted straight out of Castlevania: Symphony of the Night and it’s hard to tell where the line blurs between homage and being a copycat. That being said, the big chunky pixels transition well whether you’re playing on the big screen of the PS4 or from the comfort of the Vita, although both experiences will have vertical letterboxing to keep that 4:3 presentation intact. Now that I’ve mentioned the PlayStation Vita, it’s time to mention the elephant in the room: Timespinner’s Vita port is not in great shape at the moment. The largest and most noticeable offender that keeps Timespinner from being a great portable experience is in the constant freezing that pops up during gameplay. When your game is centered around tricky jumps and dodging whatever attacks a boss can throw at you, that kind of performance is unacceptable. It’s something that I can only hope Lunar Ray Games can work out in time. On the bright side, Timespinner is a Cross-Buy supported title (not Cross-Save as of yet), so you can still enjoy the game from your couch or via Vita Remote Play. Timespinner is something of a magical gaming experience for me. I absolutely love indie Metrovanias that can lean more onto the RPG stylings of a Castlevania and Timespinner is the perfect homage to the genre with its own time-traveling twist. If there was but one negative to take notes on, it’s that there just isn’t enough of the time trickery to play around with. Beyond that, I can absolutely recommend Timespinner as one of the best Metroidvania titles to come out this year (just as long as you hold off on the Vita port for now). Timespinner looks great, plays great, and feels like what a modern take on Metrovania should be, spiced up with some time manipulation mechanics that feel a bit underutilized in the grand scheme of things.